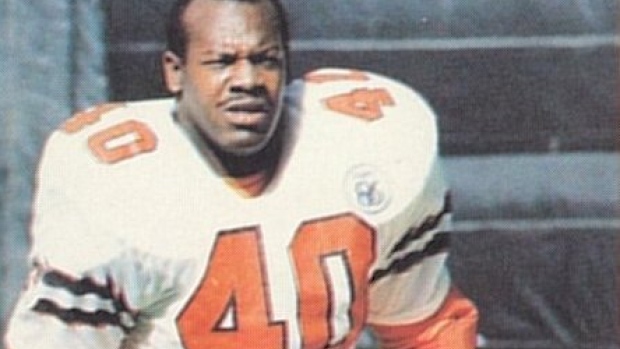 VANCOUVER — Former CFL defensive line standout James "Quick" Parker died on Tuesday, the BC Lions have announced. He was 60. Parker won three Grey Cups with the Edmonton Eskimos (1980, 1981, 1982) and again with the Lions in 1985. He was the CFL's Most Outstanding Defensive Player three times, while also earning five all-star selections. Terrorizing quarterbacks for more than a decade with Edmonton (1980-83), BC (84-89) and the Toronto Argonauts (90-91). Parker still owns the single season CFL record for sacks with 26.5 set with the Lions in 1984. His 139.5 career sacks rank him fourth all-time and spurred his induction into the Canadian Football Hall of Fame in 2001.